Become a member of the Des Moines Rehabbers Club today! The Des Moines Rehabbers Club has been promoting preservation, renovation and home maintenance since we first gathered in 2007. We are proud to announce that we are finally an officially recognized non-profit organization! In order to continue these activities and continue to grow, we are asking for your support! If you live in an older home, work on older homes, or even just appreciate Des Moines’ fabulous buildings, please consider joining the Des Moines Rehabbers Club! 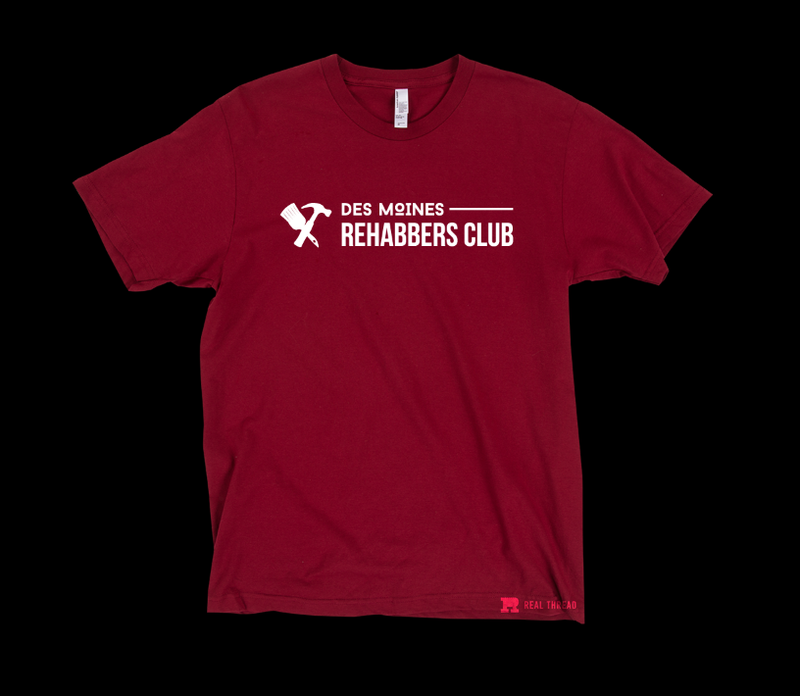 For a limited time, each new individual member will receive a Des Moines Rehabbers Club t-shirt* featuring our new logo! Future member benefits will include a discount program and members-only events. Thank you to everyone who has helped us get this far. We’re excited to bring you even more great programs in the future! *A $12 value. Memberships and additional donations may be tax deductible. Consult your tax professional. The Des Moines Rehabbers Club is a 501(c)3 organization.